Do you need to transport a vehicle to or from New Jersey? NJ movers are the best Auto Transport NJ company that can save you time, money and energy. Get the best moving services NJ and the best price using our transport company. Our skilled movers, quality moving trucks and equipment make the process of auto transport NJ a lot easier. When transporting your vehicle it is important to choose a moving company with good reviews and recommendations. Also, we are fully licensed and we provide you with moving insurance so you can be sure that your stuff is safe and protected in our skilled hands. 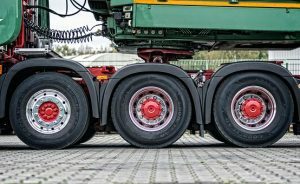 How to Transport your Vehicle in New Jersey? With our few tips it can be a lot easier. Also, when you have our professional help every transport is efficient and delivery of your vehicle is safe. We give you all information you need and service you need – it is our main goal. There are many transport tips here at our transportation company that can make this process much simpler. So, shipping your vehicle doesn’t have to be so stressful and difficult. This is why it is important to know all the facts before you hire a company to handle your biggest valuable thing. When you have our professional help every transport is efficient and delivery of your vehicle is safe. When you know all about auto transport NJ process, you can be sure that you are choosing the best company for it. You need to be careful with scams and over-priced service. With the best knowledge, moving insurance and equipment you can trust us as your vehicle transportation company. Why choose our transport company for your vehicle transportation? When moving to Bergen County our experts are fully trust moving company. Our skilled auto movers are highly-trained and committed to your requirements. Every move is unique and demands a unique approach to every client and combination of services. With our help, you can focus on other steps of your relocation while we are dealing with auto transport NJ as a stress-free moving process. You can be sure that every move with our help is successful. For every service you need from packing services, loading to delivering and unloading we handle it all in the most efficient way. Transporting a prized car is like transporting piano with our piano movers NJ – it requires expert attention and care. At All In One Moving, we take every precaution with your vehicle and protect it while in our care. We know how to carefully store and transport your vehicle with our trailers. You can be sure that your car is safe and protected during the transportation from your former home to a new address. It is very important to have this big care and attention that is given to your vehicle from our skilled crew. So you don’t need to be under the stress and you will have a worry-free experience performed with efficiency and expert care. When you contact us for auto transport services, we as your personal relocation consultant can determine your specific needs. We can ensure the best relocation process and we will offer the best options for your vehicle transportation. With our auto transport NJ services you will remain on a budget and you don’t need to worry about hidden fees and extra costs. With our auto transport NJ services you will remain on a budget and you don’t need to worry about hidden fees and extra costs. Our PriceLock guarantee protects your estimated total from additional costs. In instances where your rate comes in under the initial estimate, we honor the lower price. Let All In One Moving transport your car and belongings and it won’t be a stressful experience. And remember that we will respect your wishes and requests. For more information about our auto transport in Bergen County NJ, call All In One Moving at (201) 773-6960. Transporting your vehicle in New Jersey might seem like a big deal, but if you follow our instructions and tips can make the whole experience go smoothly. Here are our top tips for a successful auto transportation experience in New Jersey. When you transport your car make sure to clean and empty. When you have the empty car you will save yourself and your carrier time and hassle. 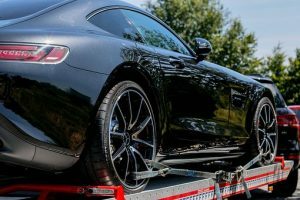 Incidents can damage your car during the car transport New Jersey, but with our transportation company, these situations are rare. But, this tip means that you should make a photo-document for the peace of mind. So, if something happens you will have a proof of the condition of your car. This is also helpful for insurance claims if your car will need a repair. Before your transport company arrives for your car, make sure to tell them where they need to pick it up. Tell them about the access to your vehicle – if you live in a suburb or busy street. Give them information about pick-up area, and be prepared to change it if necessary. Transporting your vehicle requires a lot of planning. Make sure to have the best pick-up place, and to prepare everything if you want to avoid delays. If you want to be on the schedule make sure to have everything on control. If you have vintage cars, classic vehicles, and luxury cars it is a good idea to rent an enclosed transportation for your car. These type of cars are more sensitive and can be damaged by road chemicals and debris so try to protect them on time. If you have vintage cars, classic vehicles, and luxury cars it is a good idea to rent an enclosed transportation for your car.